Our virgin Russian hair is available in custom hand-tied wefts and is installed using Carla’s signature sewn in extension technique. Carla’s unique signature installation requires no braiding, is gentle on the natural hair and easy to conceal. This combination of the highest quality virgin Russian hair, personally hand crafted by Carla and installed using her unique method is truly the pinnacle of hair extension applications. We have combined high quality long lasting hair with the latest weft technology to bring you Euro Invisi-Weft extensions. Our Euro Invisi-Weft extensions are installed via a sewn in technique, they are full cuticle correct, virtually double drawn and are available in virgin colours or pre-coloured to suit your needs. Invisi-Wefts are perfect for length and/or volume. If you’re looking for both, this maybe the way to go, however this system still works for a small amount of enhancement. Prices start from $600. 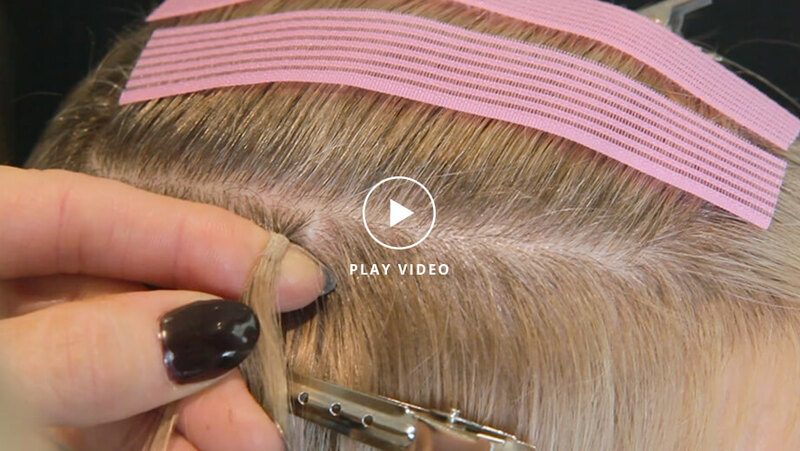 Watch the video below to see how Carla’s exclusive Euro Invisi-Weft extensions are the best in Melbourne & Australia. 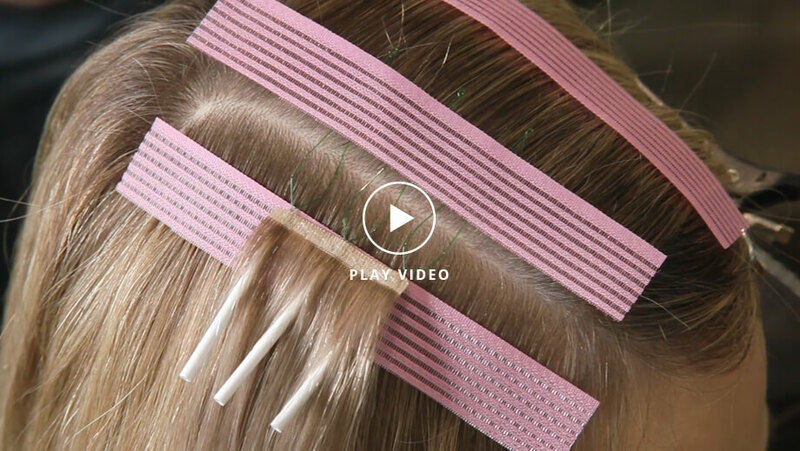 The Carla Lawson Mini-Weft is a unique installation method that combines the speed of tape-ins without the use of glues or adhesives. Mini-Wefts can be installed in less than one hour and gives a seamless, natural and effortless look. This new system is great for enhancements such as frontal or side pieces and is still versatile for full lengthening and/or volume services. Available in two densities and five textures, we can accommodate any type of hair, fine or thick. Prices start from $275. Watch our video to find out more. Exclusively available at Carla Lawson, Invisi-Strands are an advanced strand by strand hair extension system. The strands are very small and virtually undetectable in the natural hair. Invisi-Strands are soft and gentle and require no glues or adhesives. Invisi-Strands can be installed for enhancement or full lengthening and/or volume services. Prices start from $190. Watch our video to find out more. The good news is that any of our systems may be suitable for you. All our application techniques are versatile, gentle and use no glue, heat or braiding to install. Furthermore, we use the same high quality full cuticle hair across our entire Euro range. For the ladies who may be experienced hair extension wearers, you may already know what you want. However, if you’re unsure, we are happy to guide you.